Archamus rose to become Dorn’s trusted praetorian and master of his Huscarls Guard. Archamus is Master of the Legion always choosing Pride of the Legion Rite of War and must choose only Terminator units in Primary Detachment. Due to this, must choose Command Squad with Terminator Command Squad upgrade even if he is wearing Artificer Armour. Archamus was born Kye on Inwit in the early 800’s.M30 he took the oath name Archamus in his squad mates honor. As the Great Crusade and then Horus Heresy spread, all of the members of The First save Archamus eventually died. This led him to become known as the Last of the First. Over the years his influence, stoicism and suspicious nature granted him lot of respect from fellow Imperial Fists. If any other Master of the Legion is presented on the battlefield, Archamus command always takes precedence (except of Dorn). Archamus is the son of Inwit, harsh, cold and unforgiving world where danger comes from all sides. To live a life in such conditions is to be ready to fight the odds and be raised as hard creature as the world is itself. The enemy attacking Archamus and any infantry unit he joins with the Legiones Astartes special rule, must re-roll all successful To Wounds rolls of 6`s. 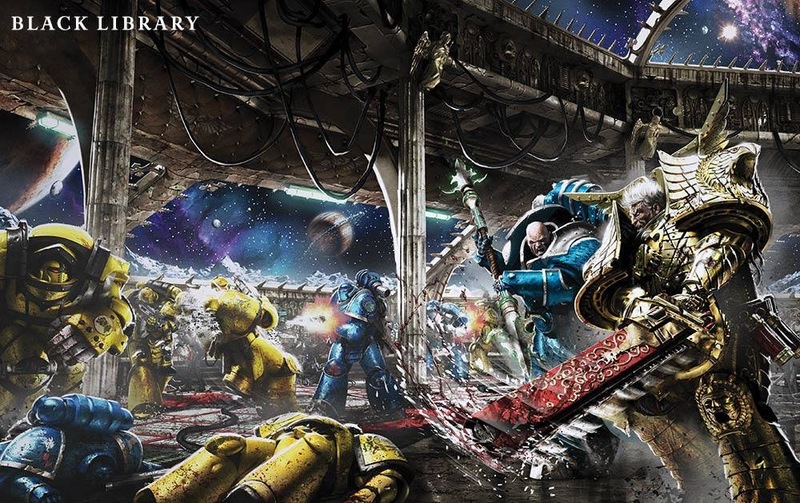 If Dorn looses his last wound, he is not removed as a casualty. All inflicted and unsaved wounds caused that phase (after all saves of any kind) are transferred to Archamus instead with no further saves of any kind allowed, exceeded wounds are discarded even if Archamus dies himself (they are not transferred to the unit he is with). One use only, both Dorn and Archamus must be in at least 6″ of each other.